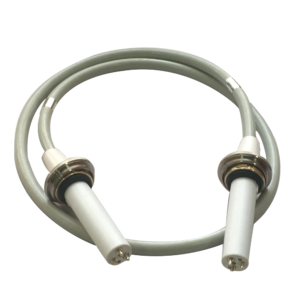 Home › Blog › What is the role of Medical x ray high voltage cable? X ray high voltage cables, tubes, high-voltage generators, tables, hand switches, and collimators make up Newheek’s radiology table. About high voltage cables – Newheek offers high voltage cables of various rated voltages and lengths. Newheek’s high-voltage cables have the advantages of longer normal use time, lower installation costs, lower maintenance costs, and reduced cable failure. The most special is: Customized Length is Acceptable. In addition, the 75KV high voltage cable is suitable for X ray tubes below 150KV; the 90KV high voltage cable is suitable for x ray tubes below 180kv. If you want to know more about Newheek X ray high voltage cable, please contact our customer service.